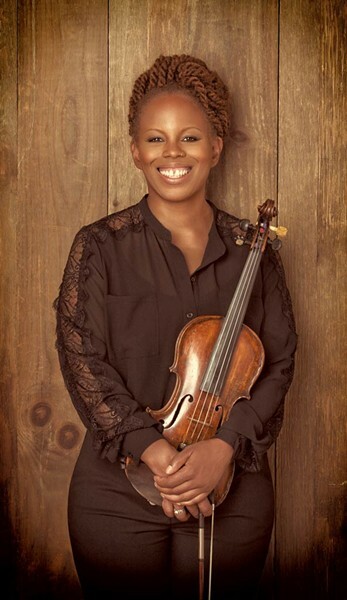 There is an inherent familiarity about Southern Comfort, the latest record from renowned jazz violinist Regina Carter. Sometimes it appears in obvious ways. For example, there's her funky take on the Hank Williams classic "Honky Tonkin'." Airing the song's famous melody over a strutting drum beat and gently punchy bass line, Carter's violin — calling it a fiddle might be more apropos in this rustic setting — rambles woozily, evoking — mimicking, even — the country-music godfather's playful drawl. That performance will likely draw smiles and knowing nods when Carter and her band appear at the Flynn MainStage this Friday, May 30, as part of the 2014 Burlington Discover Jazz Festival. "That one always gets the crowd going," says Carter in a recent phone interview with Seven Days. "It's just a fun song to play, and it's always nice to give the audience something they'll know." The familiar qualities of Carter's latest album reveal themselves in subtler and more important ways, too. Southern Comfort is composed of material, both famous and forgotten, that draws on the rich musical heritage and history of the American South. Yes, you'll find it under "jazz" in most record stores, be they digital or brick-and-mortar. And its players, most notably Carter herself, are much-admired jazz musicians. But Southern Comfort is a jazz record only in the broadest sense of the term. It is, in truth, an American record. Through Carter's lovingly rendered expositions of Appalachian, old-time and early country music, it becomes a record that exposes the connective tissue linking myriad idioms of American music, jazz included. The final product speaks, however softly at times, to a shared cultural lineage. Southern Comfort is also representative of Carter's personal history. Equal parts a musical labor of love and a genealogical research project, it was born out of Carter's desire to explore her own family's journey, tracking her ancestors first from Africa and Europe, then to the American South and eventually to her native Detroit, Mich.
"I don't consider it a record of Southern music," she says. "I consider it a record of my journey of finding out about my family." That Carter, 47 — an award-winning, classically trained jazz violinist acknowledged to be virtually without modern peer — would release an album of Americana music may come as a surprise, even to fans familiar with her musical curiosity. Her willingness and ability to cross the fuzzy borders of jazz are well documented. That eclecticism has taken shape on albums such as her homage to the music of Detroit, Motor City Moments, in 2000; and her tribute to Italian classical violin virtuoso Niccolò Paganini on her 2003 record Paganini: After a Dream. To Carter, though, her latest work isn't another departure but simply a continuation of a track she says she started on, albeit unconsciously, nearly a decade ago. That's when she recorded her 2006 album I'll Be Seeing You: A Sentimental Journey. The album was a tribute to Carter's late mother, then recently deceased. It contained some of her mother's favorite music, jazz standards from the 1920s and '30s by the likes of Duke Ellington and Ella Fitzgerald. The death of Carter's mother had a profound impact. In her mother's final days, Carter cancelled a scheduled concert to be with her, resulting in a breach-of-contract suit. As she dealt with the legal fallout, and became increasingly dissatisfied with the machinery of the music business, Carter considered walking away altogether. But at the urging of a friend, bassist John Clayton, she chose to keep playing. "He said if I gave up music, I would let those powers that be win," Carter says. "And I couldn't let that happen." Shortly thereafter, Carter received a MacArthur Fellows Program grant, often called the "genius grant." That award afforded her the time and financial freedom to properly mourn her mother and to take a frank look at her goals, both in music and in life. "It gave me the opportunity to take my time and really think about what I wanted to do in my life," she says. "What kind of legacy do I want to leave behind? What do I want to be to others?" Carter became fascinated with genealogy, she says, and began researching her own heritage, specifically her mother's side of the family. A DNA test revealed her genetic makeup to be 73 percent West African and 13 percent Finnish, with the remainder comprising a hodgepodge of Eastern European origins. The discovery of her genetic roots led Carter to explore the musical traditions of her ancestors, an inquiry that eventually blossomed into her acclaimed 2010 record Reverse Thread. Reverse Thread is Carter's interpretation of African folk music, containing 12 globe-trotting tracks that trace the migration of that sound from places like Uganda, Madagascar and Mali to its eventual resurfacing in India, the Caribbean and the United States. Like Southern Comfort, Reverse Thread has a strangely familiar quality, even to listeners unfamiliar with African music. "What might sound like a jig, a polka or Cajun rug-cutting music might actually come from an African folktale through the infectious rhythm of 'Kanou,'" wrote critic Mark F. Turner in his review of the album for the website allaboutjazz.com. "No music is born out of the Big Bang. It all comes from somewhere," Carter says. "People will say, 'That's not jazz.' But it's all part of the same tree. Same roots, same dirt. It's all connected." That theme of connectedness reemerged when Carter began to research her father's side of the family after completing Reverse Thread. She recalled hearing country music during her childhood summers spent in Alabama, she says, and wondered what music her grandfather, an Alabama coal miner born in 1893, might have listened to. Unearthing field recordings from the era, she once again found herself absorbed in the past. "Some of the field recordings I found were so absolutely stunning, I thought, Maybe I should do a record," Carter says. That record would be Southern Comfort. Her research led her to the Alan Lomax Collection at the American Folklife Center of the Library of Congress, where she delved into recordings, photos and research material related to early American music that Lomax had collected over a span of six decades. Additional insight came from the John W. Work, III Memorial Foundation, a Nashville-based organization that preserves the legacy of composer John W. Work, III and promotes research in black musicology. "It was so intriguing, I just immersed myself in it, and I couldn't stop," Carter says of her research. "I just kept going and going. It became more about discovering my family and the music that was there [so] that I kind of forgot I was supposed to be working on an album." Carter says she chose material for the record based on its emotional resonance with her. That basic guideline left her with about 50 tunes from which to choose — which she did based on tapes of band rehearsals. "I went with what sounded the most natural for us," she explains, and adds that she enlisted the help of her bandmates and close musical friends to arrange the material. "I would send them each three or four tunes and see if they spoke to them," Carter says. "And if not, I would send them more, because it was important that whoever was arranging these tunes know me personally, know the band, know how I play. I didn't want it to be just some stock arrangement that we were trying to fit ourselves into. And they had to maintain a lot of the beauty and rawness that was in the original field recordings and not over-decorate it." Carter adds that she was particularly careful not to let her interpretations of Americana get too, well, jazzy. "Our job as players, because most of us are jazz players, is not to try and make these jazz tunes," she says. "You can't play bebop lines over this stuff. Don't try and force it. Instead of coming to it as jazz musicians, just come to it as musicians." That's not to say Carter's reimaginings are strictly beholden to their source material. "We approached the songs on this album much like Regina did the last one [Reverse Thread], which is to say that they don't have any boundaries," says Jesse Murphy, the bassist on Southern Comfort. "There is a traditional root behind a lot of the melodies and a lot of the harmonic stuff. But in a sense they are completely wide open to go into any interpretation. There is so much tradition in the compositions, and that carries a lot of the weight. So it's a great vehicle for all of us to bring our eclectic elements to the table." There is often a playfulness in Carter's versions of these old songs that offers room for curiosity and improvisation to bloom. For example, listen to her take on the traditional song "See See Rider." No, not that "See See Rider." "When I introduce the tune in concert, there's always a sound of recognition," Carter says. "And I have to tell them, 'Nope, wrong "See See Rider." You're thinking of the blues that was popular,'" she continues, referring to the classic blues song made famous by the likes of Lead Belly. "This came way before that one." Carter's song is based on a field recording from an all-girls school in Alabama. "It's a game, actually," Carter explains of the song, which was arranged by guitarist Adam Rogers. "Sort of like Double Dutch or Ring Around the Rosie." In concert, Carter often plays the field recording first, to give the audience perspective on the source material. Then she and her band unleash their version, which is moody and melodic, and features several thrilling breakdowns, including searing interplay between Carter and guitarist Marvin Sewell. "It's a great jam-band tune," she says. "It's really funky, and Marvin really comes alive." "Cornbread Crumbled in Gravy" is another song that the audience might remember. "It's one of those tunes that so many people recognize," Carter says. "No matter if we're in [the United States] or in Europe, it's the kind of song that people say, 'I recognize that melody. Someone used to sing it to me.' We all know this tune. But even if you didn't hear it, we all have that memory of someone singing us to sleep, rocking [us] on their lap." "It's almost like a Baroque piece," she says of the song, which was arranged for violin, bass, accordion and guitar by pianist Xavier Davis. "The arrangements are all very unique," Carter says. "But they maintain that rawness and beauty that was there in the first place." "The Southern feeling is so potent in all of the arrangements," says Murphy. "But there are very different approaches to each song, although we're able to go through an eclectic musical landscape in the midst of those traditional melodies." Bob Blumenthal is the critic-in-residence at the Burlington Discover Jazz Festival. He was formerly a critic for the Boston Globe and Boston Phoenix, as well as the creative consultant for Branford Marsalis' record label Marsalis Music. Blumenthal will host a Meet the Artist session with Carter at FlynnSpace in Burlington on Friday, May 30, before her MainStage performance. But the critic's own experience with the violinist goes back further. Blumenthal first saw Carter many years ago, he says, playing in an all-female pop jazz band from Detroit called Straight Ahead. The next time he caught her, she was with an avant-garde group, the String Trio of New York. But when Carter branched out into her own music, Blumenthal says, she began to discover her true voice. "She really showed an incredible amount of range, which I found very impressive about her," he goes on. "She has an incredible charisma about her that many musicians have — but not all — that lets her get across to people who aren't hard-core jazz fans." Blumenthal says both Reverse Thread and Southern Comfort are examples of Carter's boundary-crossing appeal. "Most recently I've been struck with the way she can create what most people would call concept albums, looking far afield to find connections with music that might not be obvious choices for interpretation by a jazz artist," he says. "It's still recognizably her," he continues. "But each time there's a slightly different and unique sound. And she's really taken pains to absorb the music she's interpreting. Her vision has expanded, which is what ought to be happening with music but isn't always the case." Reuben Jackson, the host of "Friday Night Jazz" on Vermont Public Radio, likewise has high praise for Carter. "She's reintroduced me to the beauty of the American musical tradition," he says. Jackson knows music history: He spent 20 years as curator of the Duke Ellington Collection at the Smithsonian Institution. "I appreciate musicians who are willing to change lanes and still come up with material that's compelling and rich and moving," he says of Carter. "And she's done that." "I love the soul in her playing," Jackson continues. "The musicians I'm drawn to are people who happen to play a specific instrument, but it's clear that music is the aim; whether it's a violin or a zither, it's just the vehicle. "She doesn't remind me of anyone else," Jackson adds. He means that as a compliment. "That's not just because there aren't a lot of other jazz violinists, but because everything she does is just her; it's her voice." Jackson says Carter's willingness to mix genres and work beyond the spectrum of jazz reminds him of something Ray Charles once told Quincy Jones when they were young men in Seattle, long before they became icons. Jones was frustrated because he had to make a living in wedding bands instead of pursuing more artistically satisfying goals. "[Charles] said, 'Every music has a soul, and if you just surrender to it, it's just soulful,'" says Jackson. "And I think that soulfulness is a hallmark of Regina Carter's music." 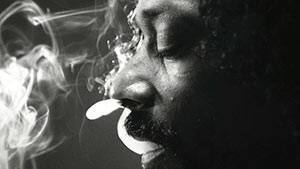 Increasingly, another hallmark of Carter's music is drawing connections among musical traditions that few others recognize. "It's very common to assume that jazz is a pure African American idiom, but it is an African American idiom," Blumenthal says. "While the connection to country music isn't always acknowledged, it's been there for a long time. Louis Armstrong recorded with [country singer] Jimmie Rodgers in the late 1920s. But in a way, this album is more surprising to me than Reverse Thread, because I don't necessarily make those connections. "Obviously, the music that was developed in Appalachia — there was a lot of improvisation," Blumenthal continues. "But the instruments they used were different. So it doesn't surprise me that fiddle was part of it. And then you think that in New Orleans, some of the earliest bands in the 1900s were string bands. But that kind of gets lost in the historical narrative. So it's probably a more logical connection than I would have assumed. Because it's not like she just put a bunch of jazz musicians on old country tunes. It's a recording that has a certain fidelity to the originals." Carter would agree with that sentiment. But for her, Southern Comfort is about more than exploring musical styles or indulging historical curiosity. "To see how these tunes have traveled, because people have traveled — cultures have traveled and mixed — is enlightening," she says. "When you look at the South, and especially the Appalachia area, because of the Irish, the Scots, Native Americans, African Americans and others that settled there, you have this very unique mix of sounds that we call Americana. But what you really see is how we're all connected." Meet the Artist: Regina Carter, hosted by BDJF critic-in-residence Bob Blumenthal, Friday, May 30, 5:30 p.m., at FlynnSpace in Burlington. Free. The original print version of this article was headlined "A Little Bit Country "